Kailash Mansarovar Yatra is one of them most revered yatras (sacred journeys) that is quite popular amid the followers of Hinduism. 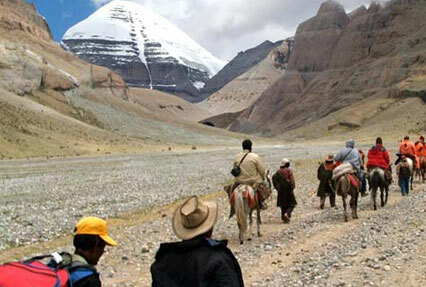 This yatra involves journey across high-altitude passes and some beautiful towns. Kailash peak and Mansarovar Lake are known to be the abode and meditating site of Lord Shiva, and thus are worshipped all across. Kailash Mansarover Yatra by Helicopter (10 nights / 11 days) is a well-planned package that offers you a chance to embark on a hassle-free journey, through helicopter. The blend of spiritual bliss and breathtaking views will be bonus for you. 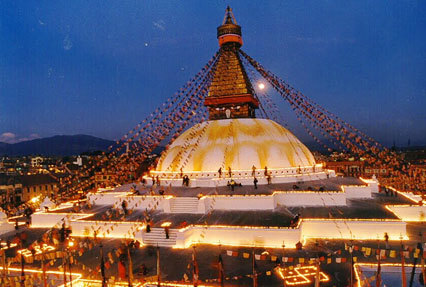 The Yatra commences from and ends in Kathmandu. Some of the highlights of this Yatra are Pashupatinath temple, a holy dip in the Mansarovar Lake and treks to peaceful towns. Visit to the Pashupatinath temple, Kathmandu. Spectacular views during helicopter ride. Holy dip and puja at the revered Mansarovar Lake. Trek to Diraphuk and Zuthulphuk. Walk over the high-altitude Dolma La. Visit to the pious Mani walls. Arrival in Kathmandu. Meet our tour representative and get an assisted transfer to the hotel. Complete the check-in formalities. The afternoon is scheduled for darshan of Lord Pashupatinath (a manifestation of Lord Shiva) at the very popular Pashupatinath temple. 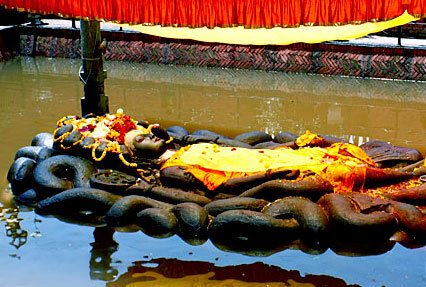 This sacred Hindu temple lies on the banks of River Bagmati. The temple lies 3 km northwest of Kathmandu in a village. In the evening, attend the briefing of program. The morning of day 2 is scheduled for Yatra Preparation. In the afternoon get transferred to the airport to board the flight to Nepalgunj. Get transferred to the hotel. Check into the hotel. Nepalgunj is the western border town of Nepal and is quite popular amid trekking enthusiasts. The day is at leisure. Spend it as per your liking. Admire the stunning scenery. In the morning, fly to Simikot (3000 m) by fixed wing, and then to Hilsa (3700 m) by Helicopter. Savor the breathtaking scenery during your helicopter ride. From Hilsa, cross the border to drive to Purang (3800 m). This journey is of around 1 hour. You have entered into Tibet today. As you arrive at the hotel, check-in at the hotel. The 4th day of the tour has been kept free. The day is at leisure and has been kept for acclimatization to the high altitude, which is an important step as you have to travel on high-altitudes. Relax in your room. In the evening, you can explore the town on your own. 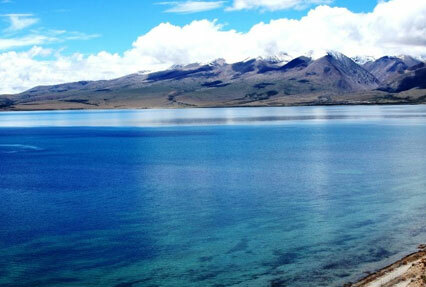 Start the day with getting transferred to the highly revered Mansarovar Lake, by road. This pristine lake lies at an altitude of 4500 m above the sea level. This road journey is of approximately 3 hours. On arrival, take a dip in the holy waters of the lake. It is believed that by bathing in this lake, one can was away all his sins. Later on, perform Puja. This freshwater lake holds immense religious significance in Buddhism, Hinduism, and Jainism. The snow-covered peaks make the surroundings even more charming. Pilgrims also perform circumambulation of this sacred Lake. Once you complete all the rituals, move to the guesthouse. Today, start your road journey to Yamadwar, which is going to be of around 2 hours. After reaching, get all set for a trek to Diraphuk (4760 m). This trek is of 7 – 8 hours. While you are walking, savor the surrounding scenery. Admire the serenity that is all around you. On reaching, check-in at the guesthouse and relax. This day has been booked for an exciting trek to Zuthulphuk. This trek is going to be of 10 to 12 hours so begin the trek early in the morning. Walk past the Dolma La Pass (5650 m) and treat your eyes to the wonderful surrounding views. In the evening, you arrive in Zuthulphuk. After completing the check--in at the guesthouse, you can now relax. The day starts with a trek to the revered Mani walls (3 – 4 hours' trek). These walls are a collection of stone pebbles, plates and rocks with holy inscriptions of Buddhism. It is said that the Mansarovar yatra gets completed, once the person touches these inscriptions. Pay homage at the site. Thereafter, 3 hours road journey to Darchen commences. On arrival, check- into a guesthouse. On day 9, start driving by road towards Hilsa via Purang. During the journey, admire the mesmerizing scenery. On reaching in Hilsa, check-in at a guesthouse. If time and energy permits, you can explore the town on your own. In the morning, from Hilsa you fly to Simikot and then arrive in Nepalgunj. Later, get transferred to the airport to board the flight back to Kathmandu. As you reach, get to your hotel. Complete the check-in and relax after the tiresome but fulfilling Yatra. In the morning, drive to the Kathmandu Airport to board the flight back home.